Monogamy, the practice of mating with a single individual for an extended period of time — isn't that popular in the animal kingdom. Only about 3% of mammals are monogamous, and, although 95% of birds pair off (at least for one breeding season). Paternity tests have revealed that the avian world is chock-full of cheaters. The least loyal bird species might be the superb fairy wren: they form lifelong bonds. If you watched a pair of them from morning 'til night for an entire breeding season. You'd think they were perfectly faithful. But that's only because female fairywrens cheat under cover of darkness. Using radio transmitters to track their movements, researchers discovered that fertile females make daily, pre-dawn flights to other territories. These trips only last about 15 minutes, but apparently that's more than long enough. DNA tests show that just 25% of baby superb fairywrens are their father's biological offspring. Eventhough modern genetics might be deflating our romantic notions about lovebirds. From a biological standpoint, paring up with one individual and then copulating on the other side — makes a lot more sense than absolute sexual loyalty. So, it also makes sense for males to try and slip some of their genetic material into a few other nests if they can. Females, of course, can't have more than one nest. However, for their part they can try to sneak around in some other guy. So, their eggs have some variety. Cheating might also help explain the otherwise unexpected physical differences between males and females in apparently monogamous species. We've long had a solid explanation for this male/female dimorphism in explicitly non-monogamous species. If a male plans to mate with many females. He needs to win their affection and fend off other suitors. Over thousands of generations, the traits that help him successfully mate can become more and more pronounced. Even if they serve absolutely no other purpose. For example, male gorillas—who fight each other for exclusive mating rights with the females in their clan-- are much larger than female gorillas. 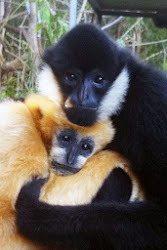 While male and female gibbons, which are monogamous, are the same size. Which brings us to our favorite primates, homo sapiens. There are undeniable physical differences between males and females. It's unclear whether they're pronounced enough to suggest that our ancestors lived in harems like gorillas or whether our differences stem from a monogamous but adulterous society like the superb fairywren's. One thing is clear: among all the species on Earth, monogamy is rare, and sexual monogamy without cheating is rarer. There is, however, at least one known example of perfect, lifelong fidelity, and its name is Diplozoon paradoxum. When two of these young flatworms find each other, they literally fuse together to form what looks like a single organism, and this adultery-free union lasts for their entire long and amorous lives. 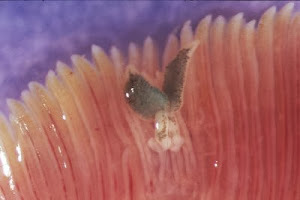 Which they spend sucking blood from fish gills. A truly romantic attachment! Thank you for reading Monogamy Versus Adultery in Animal Kingdom posted on the website Kwentology if you want to redistribute this article please include the link as the source. Have some kuwento to share? Contact us!